I understand completely, as many of our customers are in a similar situation. 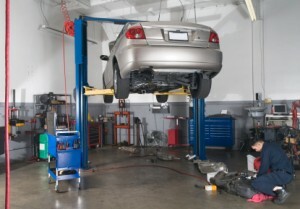 I would be happy to tell you where you’ll get the most “bang for the buck.” It is important to maintain your vehicle for two major reasons: No one wants to break down and deal with the inconvenience of waiting for a tow truck (or a potential accident); and if you wait for a break-down, I can guarantee that your repair will cost more than what you can do to prevent it. Your vehicle contains a lot of high-technology parts and it is important to maintain them to extend the life of your vehicle. This is Car Care Month. Your vehicle should get an annual check-up and period check-ups when you get your oil changed — at least every 5,000 miles.